Just updated the game to the Easter holiday theme and I was playing the Easter mode and the game crashed. Every time I try to reopen the game, it loads till almost the end of the loading bar but doesn’t move. I’ve waited for 10 minutes for it to load, it doesn’t. And when I click my home button to exit, it crashes. I gave this game a five star. 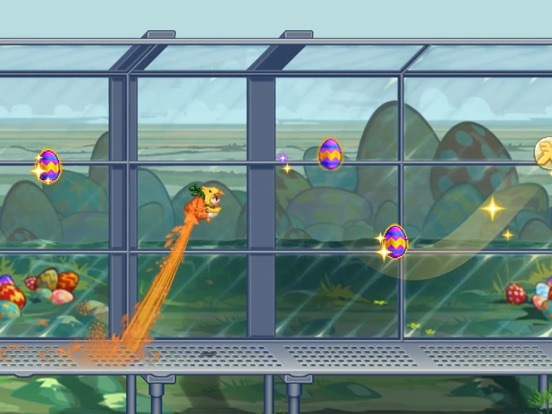 I’m only angry because you didn’t add the Easter event. Now good bye. This was my child hood game, such an amazing game. My childhood was in this. Well not all of it but when I got my iPod I played this all the time like 5 years ago. I miss it. I have one thing to say a few months ago I got a new phone on the same account I tried to restore my purchase ( the wave rider) did I get it back no! That’s the part that’s annoying but the rest of the game is good except the fact that sometimes when I’m done with the game I press the play button it goes black. And one more thing there should be a little bit more updates with cool features and that’s the information I’m gonna tell you. Very good game. Gets old after a while but still very good! The game is great, and very entertaining, but im not sure if I'm the only one, but one day i got on the game, and all of my items and records, and all of my progress was gone. Please fix this if you can. The game is still great though. Play this game, it is so fun! This game is awesome and I hope to find out if there’s any upgrades or not so you think you’re not. I do love this game, and think it’s great, not about a week ago, I got an iPhone X. At first it seemed normal, but wen I looked to the left of the screen, I saw that I couldn’t se the rest of the screen because of the shape of the screen. Ok so I’m not trying to be a negative review or anything but I think in the st Patrick’s day event I think it cost way to much for some of the things and also maybe flash in the game (the dog) could actually try and collect the clovers. Hope you consider thinking about this. P.s what’s with the ads I was playing this game and then I die and I pressed watch an ad to get a second change and then I watched the ad and I didn’t going me the second change and it crashed and I lost a BUNCH of shamrocks (or clovers) and my new high score and some coins and now I’m really upset and kinda mad so ya what’s with the ads! Awesome. Even better than sausage flip. And I like how you can have more than one suit. I have loved this game since I was only six and I have played it ever since. This game is amazing. Since Halfbrick now MANDATES that you have to update when an update is available, that has ruined the game for me. What a shame, I've enjoyed playing over the years. Thanks Halfbrick! It's good, but add saint patty's day as a solid event. I love this game but each time it is updated, I am not allowed to play the game unless I download the new version. Even then it keeps repeating the instruction to update which is annoying and a HUGE WASTE of my limited data, time and resources. Let people play games without having to get the latest version!!! Dear Half Brick, Ok listen, when it comes to games I can get pretty picky. I often spend a lot of time in the App Store looking for good games, and when I came across Jetpack Joyride, I decided to try it. I immediately started playing and was addicted. I am complete pro at the game now, and it literally never gets old. There might be a few bugs or stuff that could be fixed, but overall, this game is the best! I love the holiday themed events! I’m hoping that there seasonal so that you can get a chance to get experience them again. Same goes for the back to the future setting! The I’m playing my Jetpack joyride when I die at a not far distance from the start, but the bad part about this is when I choose not to revive I STILL GET AN AD! The length of the ads is annoying enough (I’ve seen that one of the ads was 45 second and I closed my game and then reopened it to skip the ad), but how much often they appear is what doesn’t make me happy, but the game is still good nonetheless. I think they should add a fox gadget, like flash!OH and different characters! oh PLEASE DOBA FOX AND MAKE CHARACTERS FROM TWENTY ONE PILOTS!!! That would deserve 6⭐️ six stars! Maybe more! I played Jetpack joy ride when I was like six maybe even younger! I played since the beginning and recently accidentally hit a in app purchase and when I hit cancel and closed the app it still purchased it. Almost every S.A.M. challenge I’ve had, it never gives me the day five reward, it always just skips it. It’s super annoying, I lie the game, but just not this bug. Good game. Can we get more to Apple? I really like this game. It’s one of the few games that is still fun after all the other games get boring. But I also like Colossatron when I played it on my granddad’s tablet. It was really fun. I want to play it again but I can’t find it on an Apple device’s App Store. Please add Colossatron to the Apple devices. I can’t even open the game I can only open it from the App Store. Any suggestions? I used to have an iPod that you could not use to run iOS 10,11, and 12 games and it stunk. So I wanted to try this game out and it was so addictive. I played it all the time. At home, in a car, and even on the bus. I don’t play with it as much as I use to because I have a new iPod now but sometimes when I can’t figure out what to play I sometimes play Jetpack joyride. Love this game. Just some small bugs I found though: During the slow motion/missile/vehicle power up there is a visual glitch with the tornado jetpack’s trail. Sometimes when certain things are activated, like when one obtains a vehicle or triggers the purple slow motion power up, tokens, especially S.A.M. tokens tend to vanish. Thanks again for making one of the best games for iOS. This game is awesome..I got a new jetpack (the gold platinum MGJP) although I only have 38,878 coins so...I really couldn’t buy anything really cool. My sister plays but she only 7 years old the age doesn’t really matter to me. this game is 9+ but like I said I don’t care. Games are earthier 4+,9+,12+and 17+ one time I played beat the boss 3 witch was 17+ I found that out last month. Any ways... I think my sister has about 5,000 coins. Jetpack had an update yesterday on Feb. 26th, now I don’t have any sound !!!!!!!!!!!!!!! Commercials have sound !! Please fix fast !!!!!! Well I just found where to get my sound back !!! Touch the tab before the game starts, at bottom is a star like shape; if you touch that it brings up a list both sound and music were off !! Must of happened during the update !! Also next to it is Player 1 square !! Ever since I transferred this game from my old iPad and lost all my money, points, vehicles and had to start over !! That sucked !! How go I get my name back in that Player 1 square box ????? ...the ads are getting to be way too frequent, intrusive, and long. This could make a difference as I start to get bored with the gameplay and consider quitting. Also, all of a sudden, the gadget icons in the beginning of my games are in the middle of the screen, and in my way. They used to be higher, and maybe smaller. Is this an intentional thing? Because I keep hitting the one on the left whenever I touch the screen to fly. My game reset at level 28 and 90,000-something coins. I was planning on rating this game higher because of how much I enjoy playing it. But, I opened my game not 2 minutes ago and my game had completely reset. I lost all of my gadgets, my Jetpack, skins for rides, power ups, and coins. I had so much progression in the game and it’s all gone. I’ve been playing for weeks and all the work I put in went completely down the drain. If you can fix it I’d greatly appreciate it, it’s an insanely fun game but this is particularly disappointing. I think that this is a great game but there are WAAAY to many ads that you can’t skip. I would play the game more often If there wasn’t so many ads. I won’t lie I’ve played this game since I was 13 years old on and off. It’s a great game. Recently they are just trying way too hard to get into your wallet. You have to pay to get extra vehicles and an extra gadget slot. Therefore, people that pay have a significant advantage over those who don’t. It is literally a pay to win game with no incentive to winning and going far in the game. You get hit with ads after every other run, you have to watch videos left and right to unlock stuff. It’s just brutal and there is no way around the constant drilling. 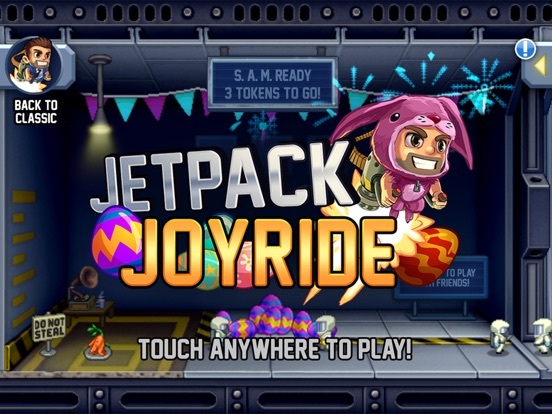 Please bring back the old Jetpack joyride where I could just play because I loved the game without getting drilled with ads and blocks in the game that I can’t get past without paying. Dear Halfbrick, Here are a few bugs in the game, and some suggestions for future updates. Some of the bugs that I have found are when you finish a game and get an ad everything is fine until the ad is over, then nothing works, and you’ll have to restart the game. Another bug is when the screen pops up to ask you if you want to double your coins for that run, it might overlay the screen that would pop up if you didn’t have the double coin screen pop up. Those were the bugs, here are my suggestions for future updates. First you should be able to upgrade the gadgets. For example the gemology when you upgrade it, it has a greater chance of being a gem instead of a coin. Another suggestion is for flash you make a new screen and you can change the color, and breed of dog, and things like that. You should also be able to upgrade him like giving him a coin magnet, or a higher jump. Another suggestion is there should be a gadget that gives you random gadgets every run, and it doesn’t always give you two, it could give you one, two or three gadgets if you bought the third gadget slot. My last suggestion is for the random jet packs and clothing, the random jetpack and clothings should cost the total amount of all the jet packs and each random clothing should cost all of that type of clothing, and you’ll have a random clothing and jetpack from the whole store even if you haven’t bought it yet. 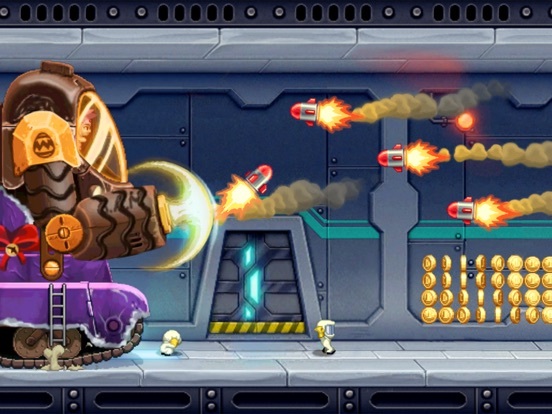 Jetpack Joyride used to be a fun and simple skilled-based game. Now, it is buggy, convoluted, and an obvious, aggressive cash grab by the devs. The game has several problems now that it did not have 5 years ago. For one, the game pushes ads on me whenever I finish a run and it’s just downright annoying and wrong. Furthermore, if ever I pause the game and close it, my progress is no longer saved as it once had been years ago. Perhaps Jetpack Joyride has become slightly more RAM intensive over the years, but there is just no way that an iPhone 7 Plus doesn’t have enough memory to run Jetpack Joyride, a game that the iPhone 4S used to run perfectly well in 2012. Finally, the game has a tendency to crash if I try to watch ads to get “free” lives, tokens, and doubled coins in a single run, making me lose not only the bonuses that I watched a minute and a half of ads for but also all the money I had earned and progress I had made in said run. I used to like this game and am willing to revert my review back to five stars if these issues are properly addressed and resolved in the near future. Update: After numerous updates with “patches”, “bug fixes”, and “improvements”, the problems with the ad system have yet to be fixed. I love this game but I have this weird glitch. I don’t know if this has happened to anyone else but I have the golden and magnet vehicle upgrade on all vehicles and for some reason I can’t change the skins from those two. It changes the skin if I buy a new skin but then when I equip the new skin it gets stuck. I also should have cloud nine but I can’t equip it. The button presses (equip) down but nothing happens. I have tries looking up how to fix it and I have even deleted the app and reinstalled it but it still gets stuck on the golden and magnet skins (unless I buy a new skin but then it gets stuck on the new skin). If you guys could fix this I would appreciate it and other than this glitch the game is fantastic. I also would like to see some new updates and maybe some old events again. I hope this helps make this game even better and less glitchy. Thanks! Loved the game for years, can’t access new story? This review is more of a question than anything else because I played the game when it first came out when I was a freshman in high school and just redownloaded it now that I’m a freshman in college, I loved it then and I love it now. One thing that has baffled me lately is that every now and again when you open the game and start, it isn’t the regular infinite run. A mad “scientist” character pops up and runs you through what is essentially a tutorial of the games core mechanics. Once this stage is beat you go on to other stages with Jetpack upgrades, loot boxes, xp tokens and basically nothing to suggest the game is an infinite runner. I can not for the life of me access this seemingly more close ended linear story based version of the game from any menu once it’s closed and it appears randomly upon reopening. Help? I love this game so much! I've been playing it for years across multiple devices. It's simple, original, and very entertaining. 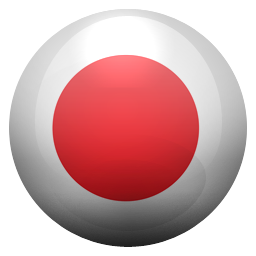 However, when I downloaded it onto my phone (this phone) I realized that the entire app had gone completely commercial. The simplicity has been replaced with watching adds for lives or buying your way through levels. But all this I can deal with; the real problem is the snapshot. On every run, the game randomly takes a picture of your character, most of the time displaying hilarious expressions and positions. This really made the game unique and funny. Now, that has been replaced with a scientist advertising different sales going on in the store. Please bring back the snapshots! I know what the store is, and if I want to buy something, I will! Jeez. All in all, it's a great game. But it's my firm belief that the original was better. I would give five stars. I left one there just to remind myself how frustrated I was when the game changed into a cash grab mode all of a sudden. And I would like to thank the support team for fixing the account issue for me. They’ve got great follow ups on user requests. One thing I’d like to mention though, is the auto ad occurred in endgame phase when you have your Facebook account connected: those auto ads stop the slot machine from working and one has to quit the app entirely and lose the progress made. Right now I disconnect it so those ads won’t bother me. This is a serious bug that you guys need to fix. A word of advice: just don’t have it, I’m pretty ok with the ad options in doubling coin and extra life, it’s a immersion breaker, but not in a harsh way because users get the control. I re-downloaded this and I remember it was super fun but a lot has changed, for the worse. I liked when you got free-range of outfits and jet packs which could be purchased with coins and how it used to keep track of how coins you picked up during your run. Also, you used to be able to have gadgets like coin magnet or having gravity-pulling boots, but now you get those when you play. I liked when you used to be able to upgrade the dragon or the robot dude so that they were gold plated and had coin magnet. but now, it’s all weird and I don’t like it. I wish it was the way it used to be. now you have to have all these thing to upgrade your jetpack and all this crap. It used to be a five-star game. also, it asked if ever played it before and I said yes, it still made me go through the tutorial and still had to start on a clean slate. I’ve spent real money on add ons before but I have to start all over again. I had the rainbow jetpack and my dragon was gold but nope. I have been playing this game for a very long time across multiple devices, and I love it, but the only reason I am rating this 4 star instead of 5 is because of this problem i’ve had many times. I had a new high score of about 7,000 and earned 2,000-3,000 coins, and I used up all of my extra lives. I pressed the “Watch AD for a free life”, but instead of an ordinary video ad, I got a talking tom ad that wouldn’t let me load the video. This had happen many times. The only choice I had was to exit the game and go back in. When I re-entered the game, my high score didn’t even save, but the thing that made me even more mad was that all of the coins I earned were gone, and all the extra lives I spent were gone, too. I would be happy to rate this game as a 5 star if this problem was solved. The game is great. I love playing it and it’s more addictive than stupid Candy Crush (which I got bored of in the first 13 minutes. And I’m not kidding either, I timed it). However the ads are the big problem. They are just everywhere. Like I don’t mind them because they aren’t shoved down your throat or anything, but sometimes an add will play that I can’t skip. And if it is one of those and it happens to not load due to bad service or whatever, the game will freeze and I’ll have to close the app and open it up back again. There is that feature where you can disable ads for $2 but if you’re not a spender for something small like that, I feel it’s best that the ads are toned down a bit, like every 5 plays or play an ad to double coins etc. That’s when it’s fine. I’ve had this game for a while. Every few years I pick it up and try it again. It’s pretty fun. For a month. Eventually the game gets boring and repetitive and it needs more updates. More Jetpacks so I can have a Joyful ride. When I got the game I was surprised the game mechanics hadn’t changed at all but something had. Advertisements so many ads I guess this has to come at some point it just isn’t as popular as it used to be. If Halfbrick put some effort into a team that can update the features once a month that would be great! But there is something that could fix the whole game! Adding a story if we could explore the adventures of Barry like we did in the other games it would be much more fun to play. But besides that it’s a great game to play. I use to play this game a long time ago and I loved it. I’m not quite sure why I deleted it but I’m back and there have been lots of changes from what I can remember. It’s a fun game! I think there should be a Multiplayer Mode; one player is Barry and the other has control on where and what comes up as Barry runs, like the player can choose to bring mussels out, choose the placement of lasers and zappers. I also think there should be a better reward for completing Missions, not just starts and then coins after leveling up, I think you should get some sort of reward like coins or spin tokens or random item stuff that will help you. This game is great already but there is many things that could be added! Now that I’ve started playing this game again, I noticed something with the SAM daily login bonus. It’s harder and harder to find all the letters the more you play continuously. After losing my streak, I started over again at day one and it was easy to gather the letters. It took two different runs. Before my streak ended, it took many runs. I shouldn’t have to do so many runs for something that is only open for a 24 hour window. People have things to do. I like the SAM vehicle, and I don’t like it when the game is keeping it from me simply because I’ve played more than two days in a row. I also hate any company that forces video ads now my throat. You assume people using your app have the internet to waste on videos. You are forcing me to turn of my internet connection when I play to avoid a video every time I die. This was s good game, and still is, but I don’t know if I want to start playing it again given that it’s annoying me. 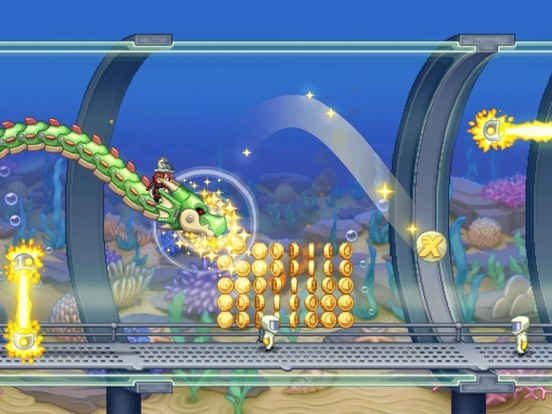 Jetpack joyride is a fun game that can consume you and entertain you for long stretches of time. 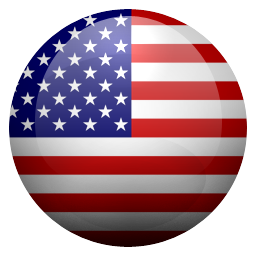 The game has good response time to your touch and plays exceptionally smooth all around. Graphically, the game on the iPhone is great. On the iPad, it seems a bit stretched and could use some fine tuning, but overall it looks good. The game is great in that, it gets progressively harder the farther you make it. The game allows you to purchase various upgrades that will help you in your journey using coins. The coins are obtained by playing the game and are not difficult to obtain. I personally average around 1,000 coins per game, but more are definitely obtainable. If you’re looking for a fun game you can grind on, this game won’t let you down. What has happened to the game?! Dear Halfbrick studios I have been playing Jetpack joyride for a long time and have become accustomed to free run jetpacking but with this update you no longer have infinite runs because you have to use fuel and on top of that you have to complete levels? I believe that you should have free play as a main menu but if players would like to do the story line then there should be a button to do that. And why would we need fuel to jetpack? 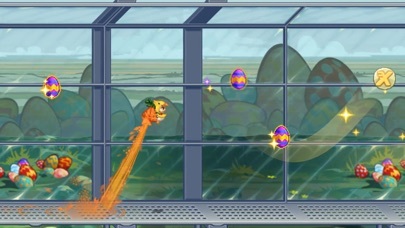 I like jetpack joyride because I could play it all the time and never had to stop. And what happened to the S.A.M mechanic where if you collected all the S.A.M pieces you could get exclusive costumes. Ontop of that we can no longer customize our character, equip gadgets, or upgrade our vehicles. In all I wish that you could bring back the original jetpack joyride and such. This is a good game. I wish the wave rider was still free but whatever. It’s not like half brick will read this anyway but moving on. I’m not here to talk about Jetpack because nothings wrong with the game. What I’m here to talk about is what the heck happened to colossatron. Like really tho it was the best game y’all had and now its gone. I had the game when it was free for the week. I deleted for room. I was like I would get in again another day but I never did. It was the best game why did y’all remove it. Pls bring it back in and if you I would be very happy. I really hope you consider doing this helping the customers out. Thank you if you read this I hope you consider and have a nice day evening or night. Great game with a few issues. Please read all. I really love this game but the spin tokens are super glitchy. Sometimes they don't show up after the game even if you collected them. It also seems kind of messed up that if you win double coins for your next game you don't actually get to use it unless you do it exactly then. I got double coins and didn't want to mess up the bonus for the game so I stopped playing for a few minutes, and when I opened up the app the coins weren't double, even though no game was played in between winning the prize and that game. Please fix?? Also, why did HB start charging money for the 3rd gadget slot? It used to be free. So was the wave rider. It's not like Half Brick is unsuccessful, so doing that really doesn't seem necessary...at all. It's just kind of a middle finger to the people who play the game. Hey, I’ve been playing this game for years, and it’s one of the best mobile games around. I was thinking the developers should add another level of customization: give Flash clothes too! I’m only posting this here because I’m not really sure where to put it so the developers will see it but figured this is as good place as any. Anyways, the gameplay itself is already perfect, I just thought it would be really cool if Barry and Flash could have matching outfits and even outfits unique to themselves. That’s all. Share this if you think it’s a good idea. Don’t if you don’t. Honestly what happened halfbrick. 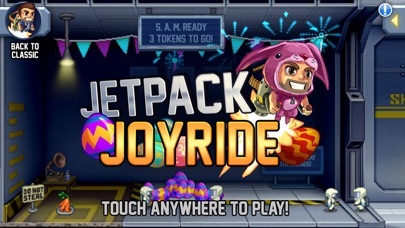 I used to love jetpack joyride how it used to be, but now it has become this weird spinoff of the original game. And it’s not even a different game! I would have been perfectly fine if you made what the game is now just a different game, but you guys replaced the original completely with this weird stereotypical app game that is clearly just a cash grab. I hate the level system, I hate the new jetpack system, and as far as I was willing to get to in the new version I hate that I’m not able to customize Barry. I hope you either give me back the game I used to love and throw away the new version, or at least just make it a separate game or mode. I would give the original formula five stars, but this piece of garbage formula that you guys have made it now is something that deserves zero stars. 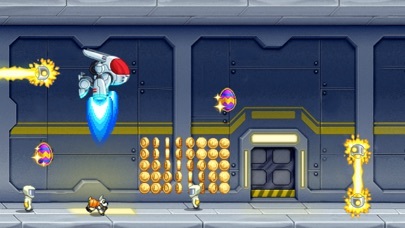 Dear Halfbrick, I love this game and I always used to play Jetpack Joyride everyday and even bought some items. But then recently, I re downloaded this game because I remember all the good memories I had and thought I’d give it a go again. I started up the game and the first thing I did was check what items I had, but for some reason I only had about six items when I had all of the items, and I was surprised to see that I only had some of them. Other than that I couldn’t have a good experience due to not having those items and for that I’m only giving three stars. Maybe I’ll download it again sometime soon when the fix the huge amount of bugs this game has. Sersiously I love your game but coustumes cost so much the hazmat suit I have been trying to get it for three and a half years I still haven’t got it I started at six years old you should get the hazmat head for 3000 and the suit for 1000 I know that’s cheap but you are to bad plus when it said wanna get a bomb or extra life it picked the extra life for me and when I past the freaking laser I died now I have 4000 now I have 4706 RIP OFF when I die on my gravestone it will say Demetrius lived to 140 but never got the hazmat suit at least give it for free if you watch 20 videos and the video advertisement should be unlimited no running out of vids I’m hopping mad at you FURIOUS ACTUALLY 😡🤬 no seriously I feel like I could say a bad word you have one job developers to make it fun not life challenging! 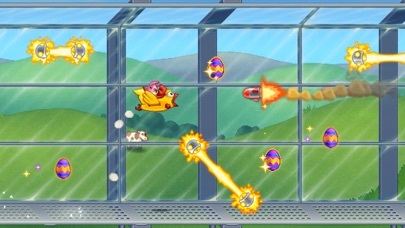 I played Jetpack Joyrun many years ago, and may just say that the game was AMAZING. Action-packed gameplay, complete with gadgets and customization. However, now there are adds every single time you complete a game. I don’t know if there is a get rid of adds button, but I definitely won’t buy it. Anyway, every other time an ad pops up, it will automatically send me to the App Store, eve when I click the X button. Half the time this freezes the game, and I have to reset it and lose my progress. I have lost about 10k coins and 2 SAM rewards, plus 15 tokens. This glitch is very annoying and makes the game not fun anymore. The game itself is fantastic and I have rarely, if ever, ran into any problems. However, there is one reoccurring problem I experience over and over again. The same ad, Tomb of the Mask, will play once my game ends. Once the timer on the ad ends I click the “X” in my top right corner, but it redirects me to safari then the App Store to download their app several times even though I’m trying to go back to the game. Once I finally return to the game I want to use my spin tokens I’ve collected but my screen freezes, I lose my spin tokens, and I must exit the app. This happens nearly every game and the recent update still hasn’t fixed this problem. 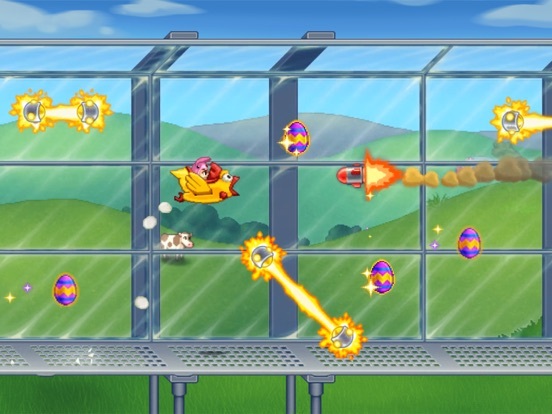 >>Since the last update, there are non-stop missiles, and almost no coins to collect. It is impossible to complete some missions.<< Okay, so they fixed the non-stop missiles, but now there’s an equally annoying new problem with the ads. When an ad begins to load, about half the time it freezes the game completely, so that only shutting down and restarting the device will get the game to work again. And when the ad doesn’t freeze the game, most ads cannot be “skipped” after a few seconds, so you have to watch an entire 25 or 30 second ad between every game! They should just put the game back the way it was when it was new, and stop with the annoying updates—every one makes the game a little worse. All in all, I believe this game is pretty fun. The only thing I find annoying is when an ad is required to continue, like if you've spent all of your lives and you want a free life, it makes you need to watch an ad and one time I had gotten to 50,000 miles as my high score and then it said to watch the ad and then, after the ad, it crashed, which made me lose the coins, (I had the double run on) all the hearts, and it didn't even save my score! So, yeah, basically just fix the crashing and maybe don't advertise the scientist's "creations" where the snapshots should be. This is actually the first time I have bothered to write a review for any app after about 6 years of using the AppStore constantly. 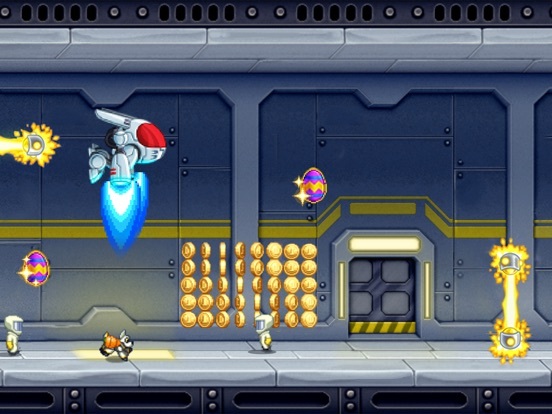 Jetpack Joyride was one of my favorite games of all time and I’ve had it for a really long time too. This new update is horrible. Half Brick converted their game into a scummy business formula that has been plaguing the gaming industry for the last 2-3 years. I also hope that the decision to erase everyone’s hard-earned progress and hard-bought commodities, like double coins, wasn’t taken lightly. I don’t even think they offered any compensation for people that had such things. All in all I’m deleting the game and pulling my support from Jetpack Joyride for this. I have better games to play that focus on entertainment rather than money. This game is so awesome! I first got it when I was like 5 or 6 and back then the wave rider and sleigh of awesome were free. But when I get the game 4 years later, I have to pay 5 dumb fillers to get them. I’m like what the heck?! But other than that problem the game is Totally the best! Oh and one other thing, when you get flash he gets his own vehicle for every machine BUT the s.a.m. (Strong arm machine). So it would be savage if flash got his own little s.a.m. And could block the rockets buy your feet. So PLEASE fix that problem and I will give this game a 5 star rating! Thanks again halfbrick! This app has fallen so far. I played this game many years ago to much enjoyment, and upon revisiting, it's clear that the focus of this game has shifted from entertainment to sheer unadulterated profiteering. Every third game brings up the same ad, again and again, with such a small X in the corner that even trying to exit the ad opens up the ad anyways. In-app purchases are fine, and introducing ads are fine, but it completely ruins the playability of this app when I spend 3 minutes trying to close window after window when I can't successfully exit advertisements. This is an amazing game, but it forces you to spend money to relieve yourself of ad pressure if you even want to play it. Did EA buy out Halfbrick Studios or something? Why do all of the missions have to be about collecting or destroying vehicles? Why can't there be more missions? I'm tired of always having to collect or destroy vehicles! It's all I ever see in the missions! It should be more organized and there should be no repetition because then you just get tired of playing the game. 😑😑😑 It's been 3 days of straight vehicle missions!! I'm tired of doing the vehicle missions 😩😫 Honestly, those missions are the worst, they make me want to stop playing the game. You guys should come up with new missions, change something up because after a while it does get boring. Ugh. I love this game but I'm seriously considering deleting this game for good because of the vehicle missions. 😑😑 I love this game but those missions ruin it. I swear, apart from the power ups that were added like a year ago, nothing has actually been added to the game other stupid in app purchases in like the last several years. Don’t even get me started on the stupid events that only add more in app purchases, but also this stupid thing that is the SAME THING EVERY TIME!! Just collecting tokens to get a pointless cosmetic item or coins you could get faster in another game. The only events I actually liked were the zappy bird one, or the back to the future event. Actually make the events unique, with different rules, not just collecting tokens with some small changes. Hate this game so much now. Would rate zero stars if I can for this stupid greedy company. 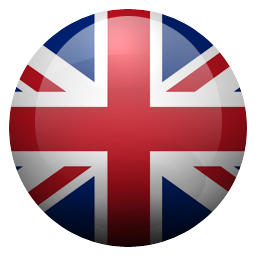 This app is absolutely fantastic and I really enjoy it! However, the only issue with it is the strange unexpected crashing bug that happens when you are running for a long time. Whenever I get to around 3000m, it will crash the entire app and then nothing saves after I collect a bunch of coins or unlock achievements or challenges. It’s been happening for a few days now and I’m hoping this could be fixed in the future. The crashing only happens with this app, and I’m using an iPhone 6s, in case you are wondering. I just downloaded this game 4 days ago. I had gotten to level fifteen. Low and behold, yesterday when I went on it, I was back on level ONE and had NONE of my items. I don’t know what happened, but this really pisses me off. And if this happened so soon, I expect it to happen again. Because of this, I won’t play this game again and waist my time on it. I have just deleted Jetpack Joyride off of my phone. It also crashes a lot and has many glitches. Once you die and you touch the screen to make it speed through the revives, if you hold your finger down after it gets to the end, it plays the ad and then goes to the slot machine. The slot machine won’t let you spin and you will have to restart the game. There is a bug where when I get in the game my audio and music work fine but after a couple seconds when I start playing the music will stop and all I hear is the sound not the music. It’s really annoying me because I like the music and playing with just the sound is quite boring. Please fix this if you see this anyways look forward to this issue being fixed and the Back to the Future event coming back! Halfbrick, Wooow this is by far the best game you have ever made and, I LOVE IT buuut 1 bug when im playing on my ipad right before i get to spin the wheel an ad pops up, nothing’s wrong with that, but whene i close the ad everything is frozen the screen still has moving things but i cant move anythingitry to hit the lever, doesn’t work i try to see the prizes doesn’t work, not even the cash in works. So halfbrick bros if you see this please fix this bug, hope to see a reply soon! I love this game. It’s been a go to for several years. Ive really enjoyed some of the newer features too. I have however, noticed a pretty annoying bug. When you finish a game without an ad at in between the finish and the slot machine, everything works just fine. If there’s an ad before you reach the slot machine, it freezes and you have to restart the game. This has been pretty recent for me. Past couple weeks maybe. 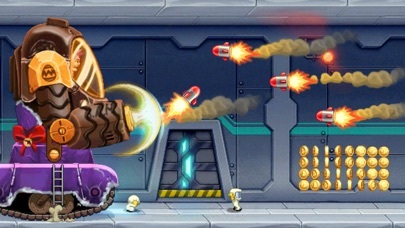 When I first played Jetpack Joyride the same year it was released, I fell in love with the gams. Now? Not much has changed. I noticed that the Wave Rider and the Sleigh of Awesome now cost $5 each, and I don't spend money on freenium games, but I don't let that take over my experience with it. I see this as a great game that will evolve over time and will stay popular for years to come. 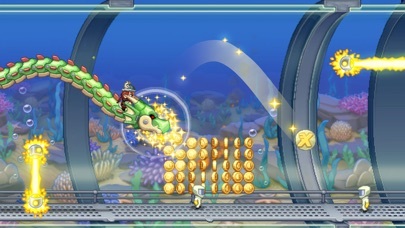 BTW, if HalfBrick ever makes a movie based off of Jetpack Joyride, you just found your lead role. I am writing this after I bought the coin doubler in app purchase for five dollars partly because I couldn’t stand the ads. But before I looked up if buying something would disable the ads and Halfbrick Help said it would. But it didn’t. I really like the game but there are some glitches to it like after you spin if you have spin tokens, the achievement screen and the amount of coins you got screen overlap and I can’t see the coin screen. These are just some of the bugs and I would really appreciate if you took a look at them.